Nobody likes to be kept waiting--especially not customers eager to buy a product or service, or those with urgent concerns or inquiries. It’s not only frustrating, but it also tells customers that their call may not be important. This is why 60% of customers tend to hang up after waiting on hold for a minute. 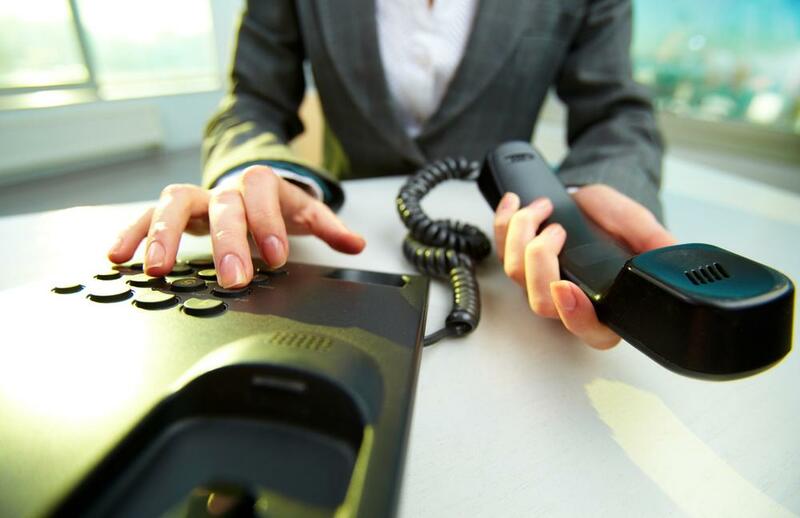 Granted, no business wants to intentionally put callers on hold, but there are certain, legitimate situations when the inevitable occurs. All agents or employees might still be assisting other customers, you might have to check in with a specific department or supervisor, or perhaps relevant information need to be pulled up to address the caller’s concerns. But regardless of the situation, it’s possible to place a customer on hold while making sure they stay on the line. Here are a few tips you can try to ensure you never lose a customer (and possibly other business opportunities) on hold. Customers are less likely to get frustrated (or angry) about being put on hold when they are properly informed about the process and the reason for it. So whether you’re contacting another department or still collecting information to better respond to the caller, make sure that you first ask the customer’s permission before placing them on hold and explain the reason for doing so. Also, make it a point to reassure the caller that you will be back within a reasonable period of time. Being placed on hold is acceptable for many customers, but being placed on hold listening to bad elevator music or dead air is definitely unforgivable. For organizations with a business VoIP phone system, using the Custom Hold Music feature is an excellent way to keep callers connected and entertained. Soft soothing music can make a potentially aggravated customer more patient. Playing a personalized recording or a marketing message (make sure to avoid tacky and cheesy sales pitches) can also ensure a professional wait time experience and can even be used as an opportunity to educate the customer. Another way to reduce hold time and keep customers on the line is by parking the call. Offered by many VoIP business phone providers (such as Vonage and RingCentral), the Call Park feature lets you “park” a call in a virtual parking spot and have the call retrieved by another extension on your system. This feature is excellent if all your team members are capable of handling all types of requests or concerns and have shared calling responsibilities. With Call Park, you don’t need to transfer the call from extension to extension or send them to voice mail (in case the extension you sent them to isn’t available). The next available employee can pick up the call on another extension and assist the customer promptly; thus, improving communication and reducing customer frustration. If processing the customer’s request or concern would take or if the person or employee most suited to handle the call isn’t available, you can offer to schedule a callback. Inform the customer of the situation and ask when it would be convenient to contact them.. Take note of their name and number and--most importantly--make sure to call back at the time you promised and agreed on. Being put on hold is one of the major pet peeves of customers, but it’s an inevitable part of business which could happen from time to time. Employing the four tips we shared above (and of course, using a business VoIP phone system that contains features such as Custom Music On Hold and Call Parking) can help keep customers from hanging up.